I don't think I can explain how good it feels to be organized, since I have made that a priority I have had the time and desire to plan my meals. I know what I have and I know where everything is... every night I come home from work I immediately go to the kitchen, start preparing a meal that I have planned. I never go to bed without washing dishes, it is so nice to wake up to a clean kitchen. I can feel some opposition from myself at times but I push through and I am happy when I do. I end up enjoying my evenings so much more as I can relax and enjoy whatever I plan on doing. Valentina isn't as thrilled with it as I am reminding her often of what she needs to do to help me keep up. Her room still isn't completely organized but that is on the top of my list on Friday... I have a vacation day and I am going to spend it with the lady who has helped me organize before. I think if Valentina can have a place for everything, she will feel like keeping it that way... I am well aware of how overwhelming it can be when you have an abundance of items and no idea where to put them. Next Saturday is my birthday and I have some plans for this milestone... none of the ideas I have include cake or treating myself. I think that is great for some people... for me I need to stay focused and honestly I am quite thrilled with the food that I am eating, I am enjoying the flavor that comes from good fruit and vegetables ... I am not feeling the least bit restricted, I am more aware of what I am eating and appreciating it more. I won't be using my blog to write about how much weight I lose... I will write about what is working for me and how I am feeling from week to week... Besides how much weight I lose is not as important as how I feel... I believe that making small changes will build on bigger changes which will ultimately help me to be more successful. I have always known that losing weight isn't the most difficult thing, maintaining it is the trial... I have confidence that it is possible if I continue to have a strong desire. Launna, it's great your house is already organized. Life is better like that. I also think the most important is to feel good about food and the rest. Happy Birthday in advance! It's a pleasure to read this post full of Lovely news! I Wish You all the best for your b-day!!! Also, that Audrey quote, "I'm possible" my mom has said that to me before. Very uplifting and encouraging!! Sounds like you're doing great and taking hold of things step by step. Happy for you always and I hope your daughter will catch up with you soon. I agree with you: nothing is imposible! It feels good when everything is organised otherwise things are stressful and bring us down. I really need more time to organise first or prioritise things a bit better. Ter organização é muito bom. Eu não sou a pessoa mais organizada do mundo, mas tento não fazer tanta bagunça! hahaha! Parabéns pelas escolhas alimentares certas! Tenho certeza de que, mesmo com o seu aniversário, você vai conseguir manter o foco em relação a comida! You really do sound so strong, Launna. You've embraced the possibility that you will stray again and you are not worried or afraid of it anymore. I see a very different Launna from the one I know the past few months. Hugs, you're definitely on the right path, my friend. Yes! Reminds me of one of my many favorite Michael Jackson song Man in the Mirror. Many people complain about how their lives are, and how they want to change. But not many wants to change their lifestyle or state of mind. You can't change the world without changing yourself first. Have a nice day my adorable Launna. That's brilliant news Launna! It's great that you've been making changes to your daily routine, and benefiting from a more organised approach. Well done for planning your meals and sticking to healthy options. I agree, healthy food doesn't have to be bland at all, as there are lots of creative ways to make it tasty and full of flavour. It's great to see your renewed enthusiasm! Keep up the good work! This is great Launna! You sound so motivated and fuul of energy, I could see your improvements post after post, especially in the last few months! Keep on going like this, hun you're done a great work on and for yourself, all on your own, and now you're starting to see the results! I am so thrilled with where how far you have come, Launna. You are so right- getting organized and just planning things out makes all the difference between success and failure. What's the old saying---if you fail to plan you plan to fail? So true for me. You are smart to not concentrate on the #s on the scale...it is more about being satisfied with where you are and how you are doing on a day to day basis. Hi Launna, you are doing great! Good to hear of your progress. Take care and smile! I'm happy you are back on track and you feel better about your food choices. Happy birthday in advance dear and have a great day! I understand about clean and organized! I was spending so much time at Amara's school that my house really did suffer. I've actually been having fun this summer conquering projects and putting things in order! Keep up the good work! Aren't you feeling all happy about being organized now? Its an awesome feeling! Happy birthday early! Moving and getting reorganized can be such a beast, eh? Our last move, we had visitors a week after owning the house. Meaning, we had a week to have a semblance of order. Those were 12 hour days of labor, I can tell you, but it happened. I hope this new place is a positive one for you. Hi my dear Launna! I am beyond happy for youafter reading this post. Having a structure in our daily life is extremely helpful and I'm glad you found yours. haha, your daughter must be like me a couple of years ago thinking that tidying up and organizing my stuff was only an annoying chore. The truth is, it does help. It helps you to be more productive, to stay focus, to create some self-discipline. Sounds like everything is working out great Launna. Getting organized can make such a huge difference. Ciao darling, hope you have a great day! Launna! Vale muito experimentar água micelar! Esse tipo de produto ajuda a hidratar a pele. Aquela que mostrei é excelente e barata! Yay! You must be feeling awesome about being back on track all organized now! It feels good to be organized. Sounds like you're doing well with that! Have a wonderful birthday! 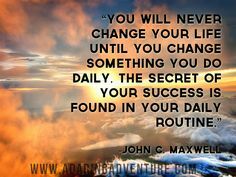 I've read that 21 days doing the same thing creates the habit! Wishing you all the best for your birthday next week, hope you enjoy. It's the best feeling to be organised and definitely pays off. But extremely hard to get the motivation. Happy birthday my lovely friend, I wish you all the best!!!! Happy Birthday to you, dear Launna! I am a very organized person...but not obsessed by it, if this makes sense, and being organized helps me to save a lot of time and find things I need right away. It also helps me to stay calm and focused, not having to worry about things. I am very proud of you, and happy for you! Much love and hugs to you. Have a nice weekend sweet LAunna. Great post, Launna! I'm struggling quite a bit with getting organized right now, not food-wise, but in every other sense. Changing my daily routine might be a good idea. Happy Birthday Launna, my son Lorenzo sends you his best wishes. I hope it will be a great weekend. A and wonderful week ahead. Launna, happy birthday for yesterday! I'm so sorry I missed it yesterday, I apologise for that. But I'm sure you've noticed I've struggled lately to catch up and respond to others blogs like I always do as it's been too much, but I'm trying today, so I hope you had a lovely birthday! I'm not having a cake for mine in a couple weeks either since I'm gluten free now, I'm not too worried to be honest. Our health is much more important. I'm glad you have managed to turn things around. Having things organised and in place is so important. My room is so messy because I live in a room in my mums house and as I'm almost 28, technically I need my own house, so I have too much stuff for one room. It's cluttered badly. I'm sure your daughter will love it once it's more organised though! I hope you had a wonderful birthday! You are so inspiring! That clean kitchen is a gift in its self! Here's wishing you more blessings everyday! & much happiness! I know what you mean about feeling overwhelmed....am there both my daughters moved out, am downsizing and there is a lot of stuff as they didnt move with everything. I am hoping to be organized. I am not there however. Glad you walking the talk. Thanks for sharing your thoughts, especially sharing what is important to you, like how are you feeling and what is working with your weight loss. with regards to change, I remember our new president here in PH, he said that there'll be a lot of change coming. Hello Launna ... I'm a little behind with my blog reading, and have only just realised I missed your birthday!!! So I'm sending lots of belated wishes your way. This was why I got to know of your birthday via Instagram- I'd missed this post! Well, it wasn't really a "missed" per se, I've had an eventful July ( because I don't want to use the word "challenging" ) and was behind on reading my favourite blogs.